Embrace this pristine paradise that is ideal for nature lovers, adventure travelers and cultural explorers. 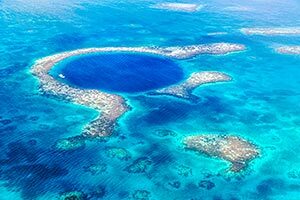 Belize invites with limitless possibilities, including Maya archaeological sites, caving, hiking, and diving the Blue Hole. 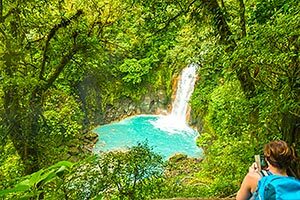 Explore Costa Rica’s rich rainforests, cloud forests, beaches and nature reserves teeming with wildlife. Embrace the beauty of Colombia's sunny sands, rugged mountains and green countryside. Witness the engineering marvels of the Panama Canal and discover the allure of cosmopolitan Panama City. Wherever you travel in Central and South America, you’ll find the people are as warm and hospitable as the climate. Guanacaste offers some of Costa Rica's best resorts and nature parks. Visitors enjoy the ultimate seclusion along miles of virtually untouched Pacific beaches. For hiking and bird-watching, visit the one-of-a-kind Monteverde Cloud Forest in the Central Mountains. It is home to hundreds of species of mammals, birds, and butterflies. Puntarenas' famous volcanic black sand beaches are close to San José and are a great place to begin day trips to the Monteverde Cloud Forest or the Gulf of Nicoya. Adventure entices at every turn, from diving and snorkeling translucent waters off tropical beaches to fascinating hikes in subterranean caves to cultural encounters at ancient Maya temples. Visit the heartland of the Mayay that still thrives today. From white sand and sunny skies to tall green mountains - this is Colombia. This coffee-growing powerhouse boasts two coasts - one Pacific, one Caribbean - for perfect beach vacations and a lush interior for your next eco-adventure. Rates are based on roundtrip air travel from Miami (MIA) to Panama and Colombia and Houston (IAH) to Costa Rica and Belize, and are per person, based on double occupancy. Advertised vacation rate(s) valid for departures 7/22/19. Rate does not include a $29 per person Departure Tax, to be collected at the airport upon departure from Costa Rica.